The WKU American Society of Civil Engineers (ASCE) student chapter helps raise money for the Monroe County Backpack Program. 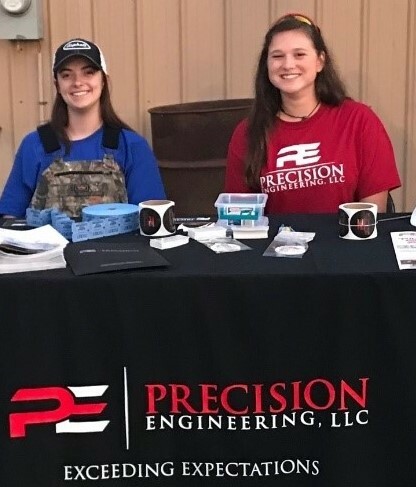 Over the weekend, WKU students volunteered at a Tractor and Truck pull sponsored and hosted by Precision Engineering. The pull held in Tompkinsville, KY was a great experience for the ASCE student members! The ASCE members helped with ticket collection, greeting patrons, informing the community about the company (Precision Engineering), and educating the public about Civil Engineering at WKU. The event helped raised $12,249.66 for the backpack program. The Monroe County Backpack Program feeds approximately 180 students each weekend and over holidays. The purpose of the program is to provide meals when students are not in school.